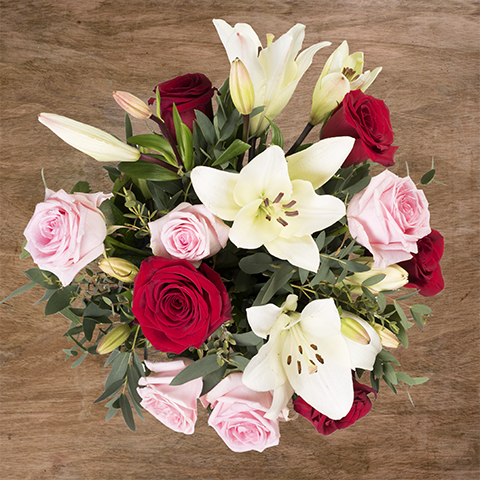 Mixing together the colours of love to create a pleasing blend of red, pink and white flowers, this rose and lily bouquet is a real delight. Share this surprise and send a reminder of your love and affection in time for Valentine’s Day, an anniversary or on their birthday. Perfect! Even I could choose for another place to deliver. Very beautiful flowers and delivered to my hotel. A Great surprise!! So nice box! Fabulous quality, delivered on time and with a smile! Great service, fast delivery! Couldn't be happier. Will definitely use again. Very efficient. No problems at all! 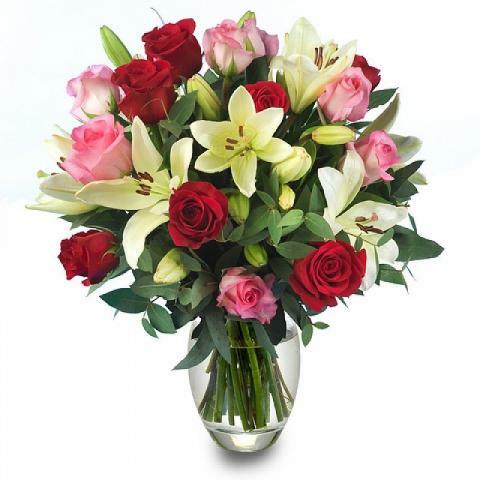 Very good, prompt delivery, quality flowers. Recommended!!! You surely expect the next! 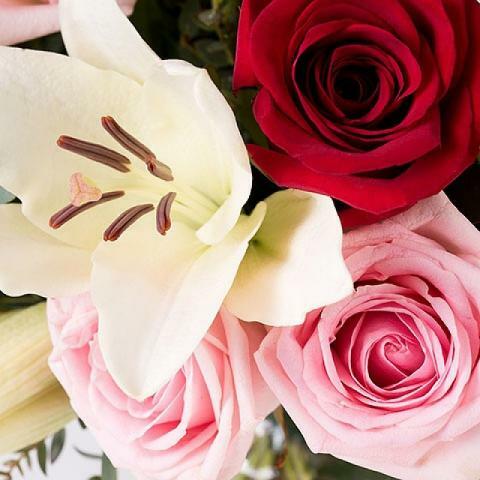 Very surprised at the consistency and quality of flowers.